Follow the fashion road to EMERALD CITY! Like distant city lights sparkling against an evening sky, the hematite-plated shank is encrusted with tiny crystals in shades of green, celadon, aqua and a sprinkling of genuine turquoise baby seed beads. A luminous glow emanates from the super-sized, cabochon-cut emerald green gem. 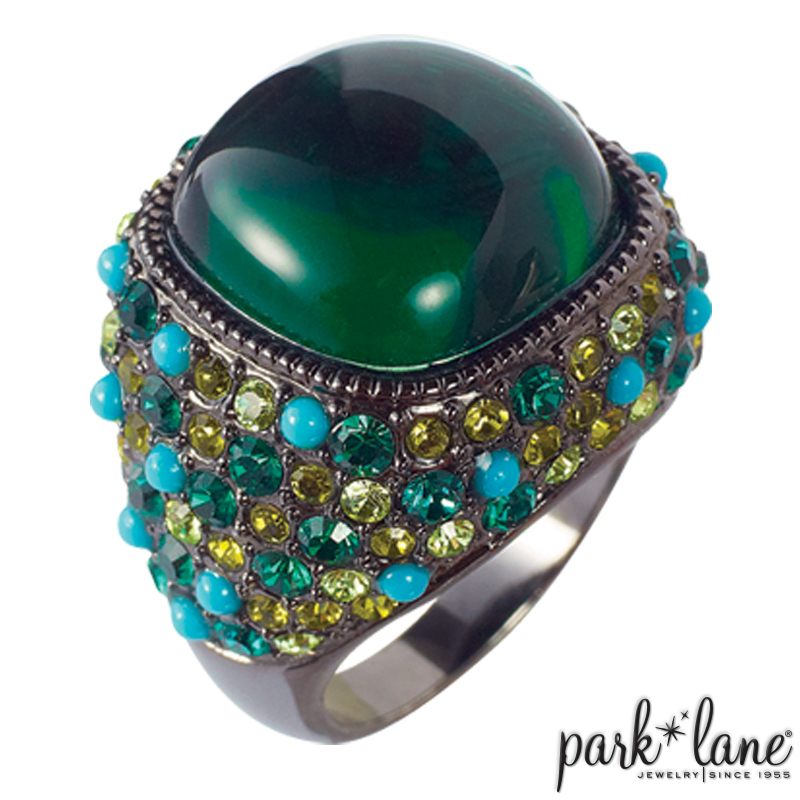 EMERALD CITY ring reminds us, "There`s no place like Park Lane!" Ring is available in sizes 5-10. Complements ensembles: Shannon, Autumn Beauty, Attention-Getter, Jade, M`Lady, Fleur, Marina, Tropics, Cabo, True Blue, Waves, Daring earrings, etc.